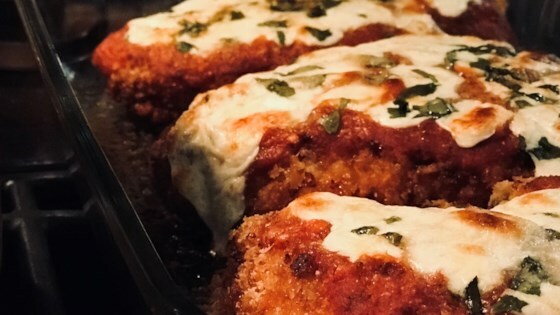 "My version of chicken parmesan is a little different than what they do in the restaurants, with less sauce and a crispier crust." Great recipe! Juicy and flavorful exactly as written.